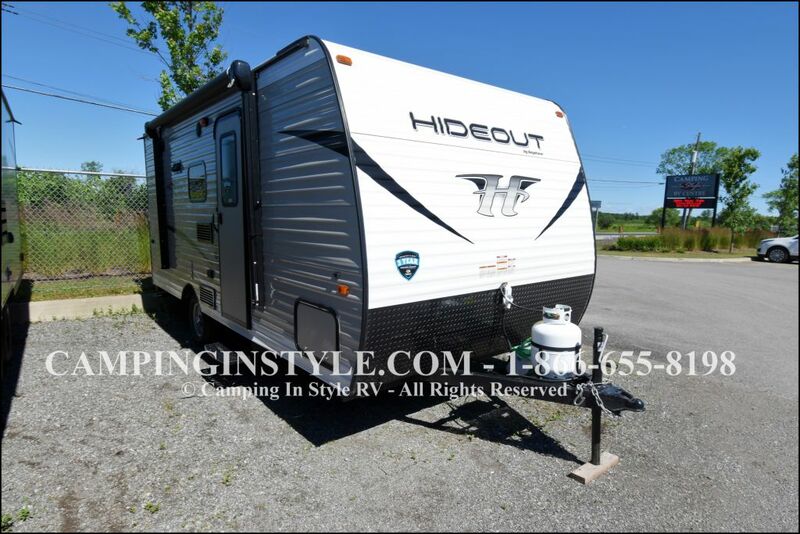 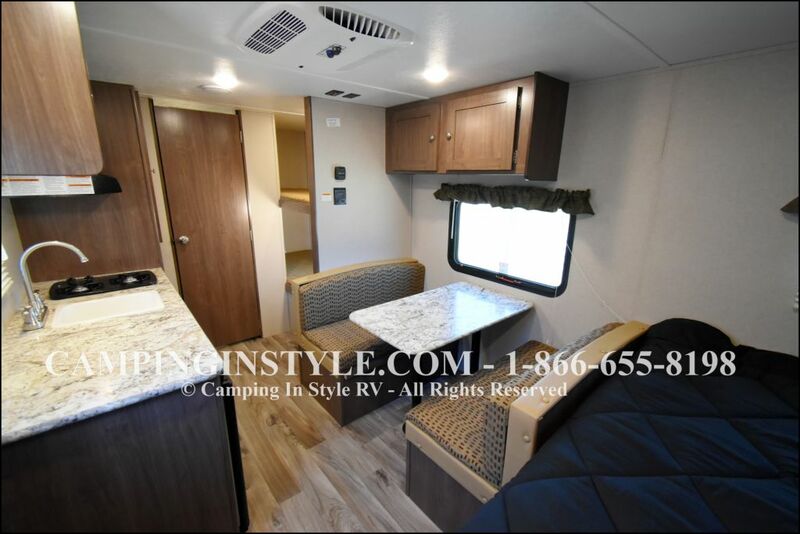 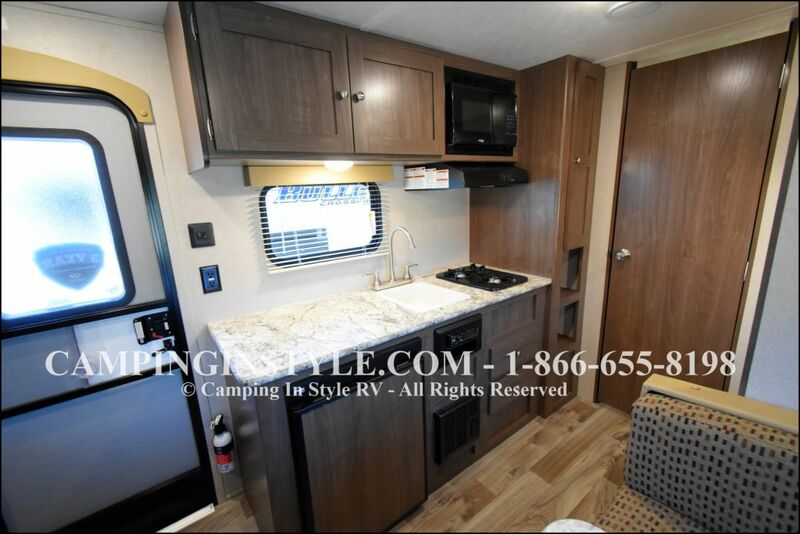 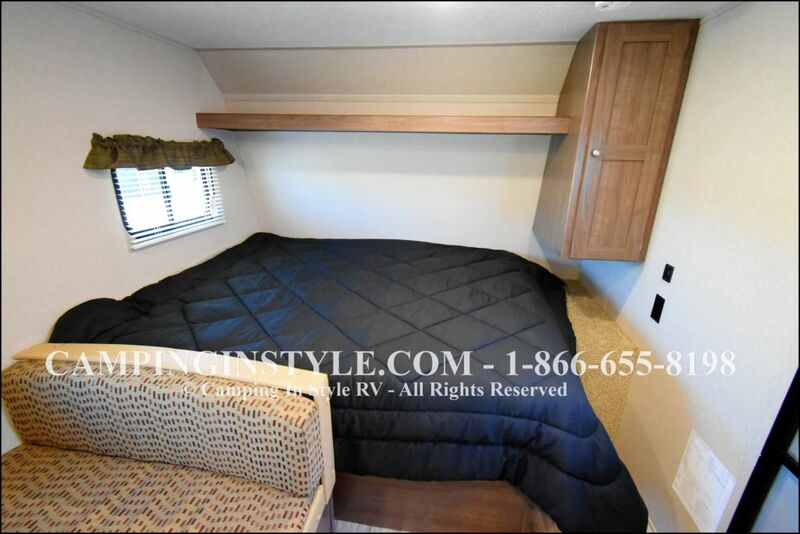 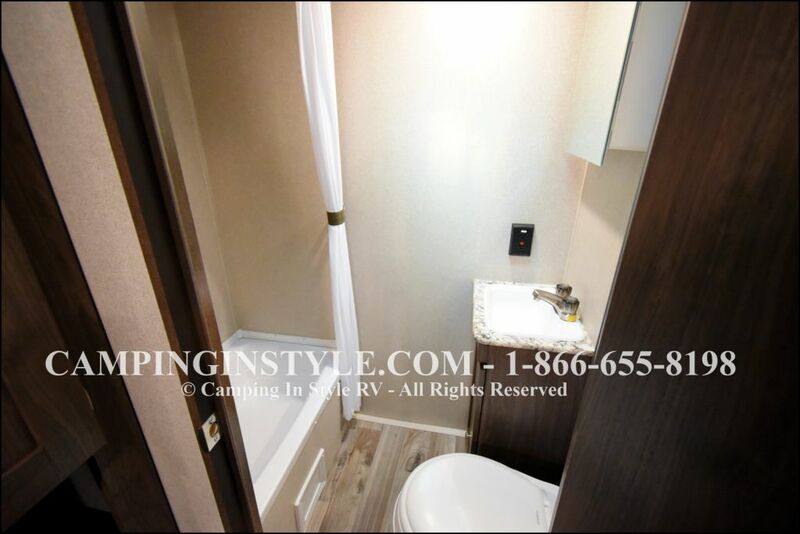 THIS KEYSTONE HIDEOUT 175LHS FAMILY MODEL FEATURES 2 CORNER 32" WIDE BUNK BEDS BESIDE THE BATHROOM. 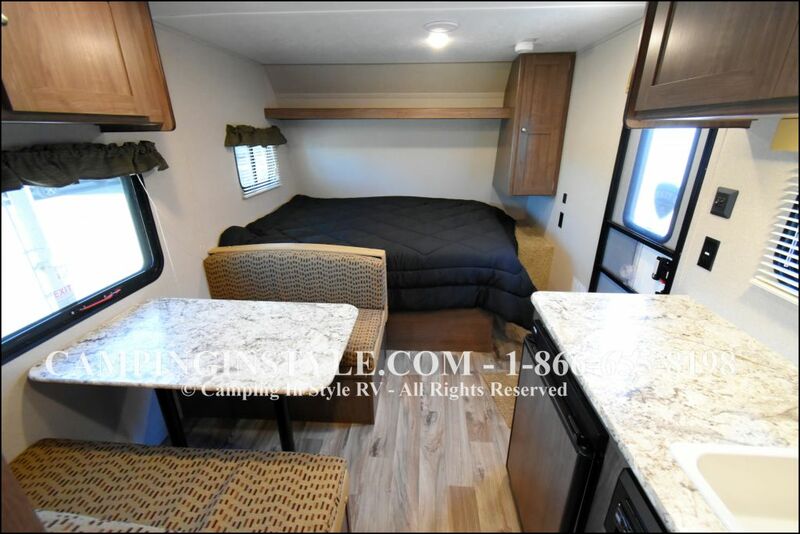 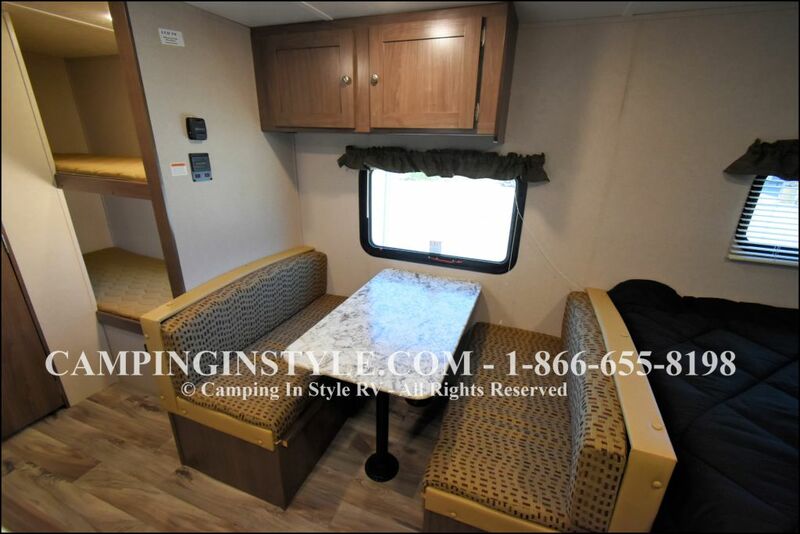 THE BOOTH DINETTE (CONVERTS INTO A BED) FACES THE KITCHEN WITH A STOVE, SINK, MICROWAVE AND GAS/ELECTRIC FRIDGE. 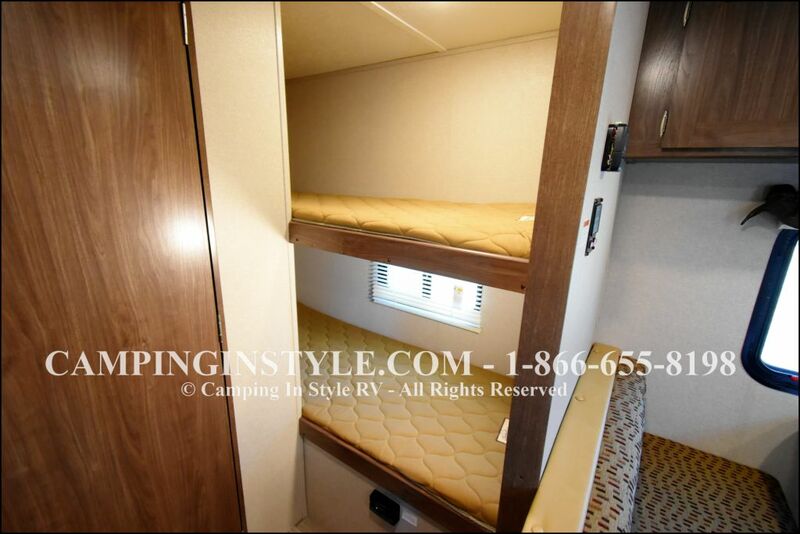 UP FRONT IS A QUEEN BED WITH PASS-THRU STORAGE BELOW. 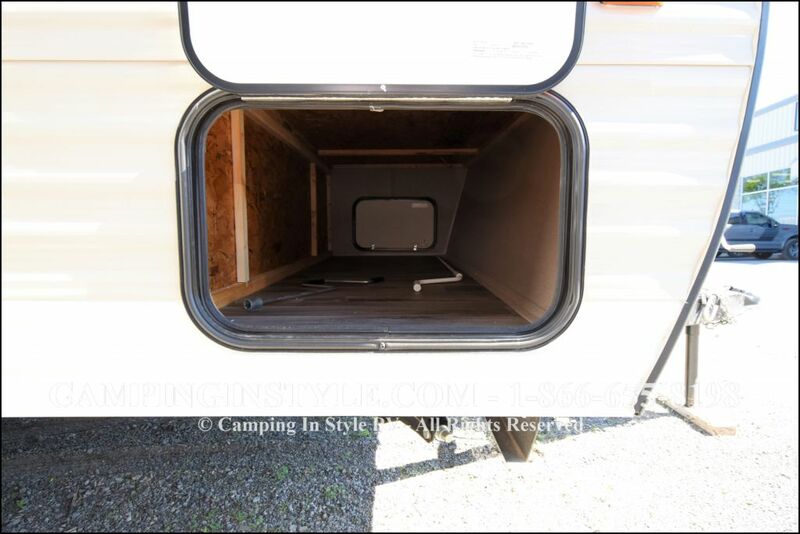 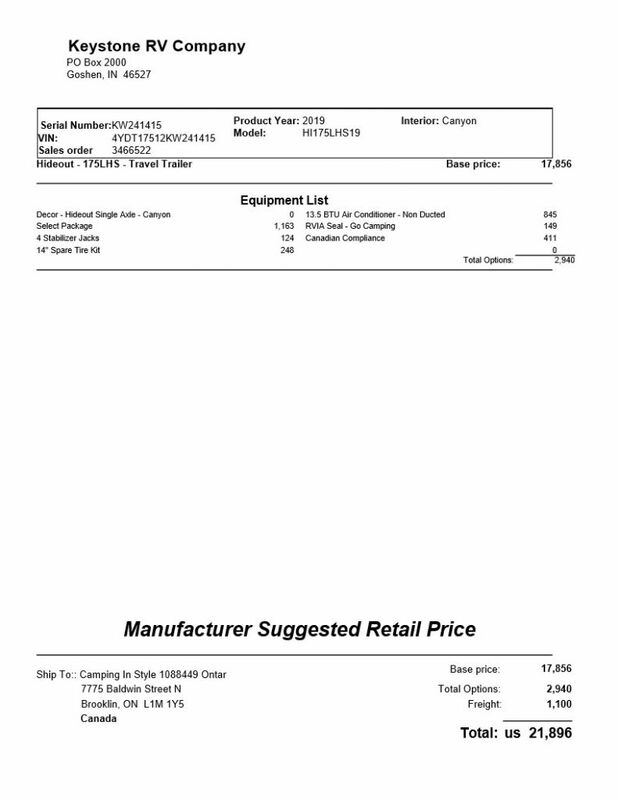 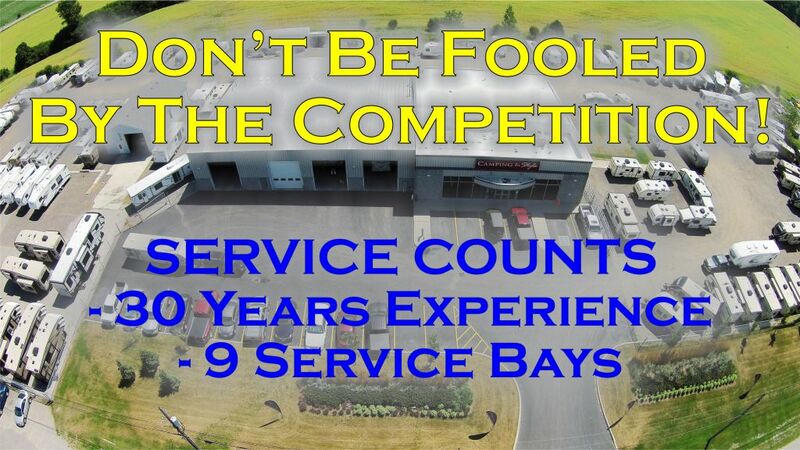 A/C,(SIDE OR ROOF MOUNT AVAILABLE) BLUETOOTH STEREO W/OUTSIDE SPEAKERS, FURNACE, WATER HEATER W/DSI, AWNING, WALK ON ROOF AND MORE.